The tone of this narration is insipid and sugary. It is almost unbearably enthused with a prodding "gitchee gitchee goo!" baby talk. 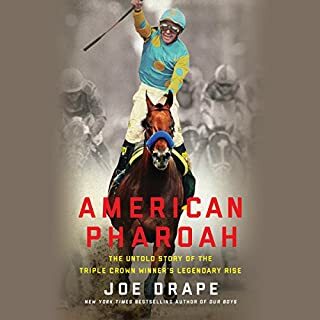 Sad, because the racing and technical aspects are informative, but it's ruined by the almost pre- school teacher nap time fairy tale narration. This is an anthology. 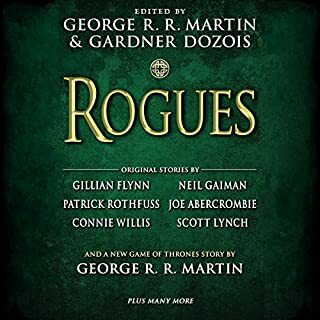 I can't believe Audible puts this out without listing chapters. If you lose your place or want to jump back or forward you have to scrub the time bar or tap the 30 second refresh. It's absurd to put out a 30 hr collection of short stories and dump it onto your device without a way to navigate through the book shame on you! 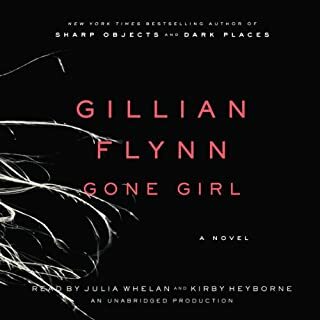 Gillian Flynn folds together a story as if it were origami. When all the bends and folded pieces are complete she unwinds the mystery and you will be dazzled by her tale. 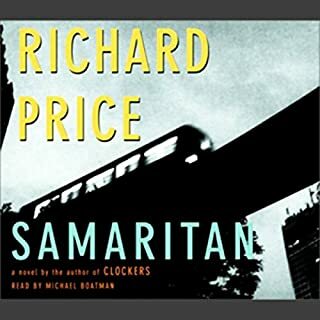 The interplay of the narrators emotionally drives this tale of a marriage dissolving from two viewpoints and every characterization unveils nuggets of dialogue that is hauntingly familiar, but never cliche. 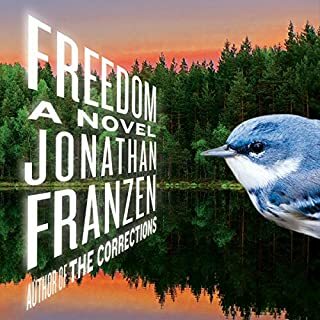 Franzen peels back the the American psyche with the same empathy for flaws as Updike and all of the pathos of Roth. Each character is at war with themselves in a battle to be the excessive American role model. The conflicts are both rich and subtle and every word is like a scalpel. This is a story for the ages. 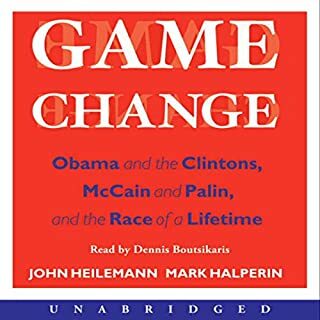 It was an election of historical proportion, the authors cut through the veneer and found the core of the historical events and people, revealing both their strengths and weaknesses. Maybe it's payback for their combined betrayal of their staff? But John Edwards and wife seem like MacBeth. McCain is revealed as boxed in with most every choice presented and Obama riles everyone for being cooler then the other side of a pillow. Return to James Lee Burke's "timeless, parallel universe" with detective Dave Robicheaux, as he investigates the murders of two women, tries to prove one man's innocence, and faces an enemy unlike any he has ever known. 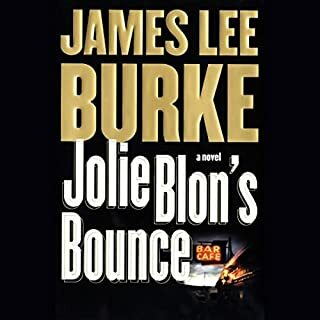 Gothic, dense, brutal, touching, and always compelling, Jolie Blon's Bounce is classic storytelling from a writer who has been dubbed "the Faulkner of crime fiction." Elmore Leonard use to knock out stories with gritty dialogue and irony till his last few. Burke has not only take up the reins, but extends his stories to characters that can be evoke more realism. They are darker, more exposed and made of blood and guts, not wood and mortar. Mark Hammer's narration is like a great bourbon. warm, smokey and neat. After a successful L.A. television career, Ray Mitchell returns to the New Jersey housing project where he grew up, to rethink his life, reconnect with his teenage daughter, and give back to the community. Things are looking up: he's seeing a woman from the old neighborhood and teaching at his high school. But suddenly, he is found savagely beaten. He knows who did it, but won't talk. It's up to Nerese Ammons, a childhood acquaintance and now a police detective, to get Ray to tell what happened. Every character is nuanced to contrast the stereotypes. His dialogues are uncanny, direct and intrinsic towards character development. This is a snapshot of life in emotional confusion and realism. Though the narration isn't quite as great as in "Lush Life" the story is still worth the listen.